Huge thanks for the wonderful support we have received in relation to the Severndale Court of Appeal hearing in Cardiff on 8th November 2017. In addition to those who made it along on the day, each email, text or telephone message that we received reminded us that we are not alone and that this community project and case outcome is important to many in the community. This adds to the support of over 400 crowdfunders without whom we could not have continued to participate in the proceedings. After four years of grant giving, Resilient Energy Great Dunkilns (REGD) is seeking to appoint new members to the St Briavels Turbine Community Resilience Fund Advisory Panel. The panel meets twice a year to review applications received at each six monthly funding round against the published criteria and advises on the allocations of grants to be made. Local residents who are interested in joining the Advisory Panel can complete an online Application Form at www.resilientenergy.co.uk/REGD. The deadline for receipt of applications is 30th November 2017. REGD has been extremely grateful for the contributions from Advisory Panel members to date who have provided useful community insight and valued contributions. Whilst we hope that some existing panel members will reapply to continue in the role we are also seeking new applicants to enable others in the community to have the opportunity to get involved. In light of the timescales for applications to join the Advisory Panel, the next deadline for receipt of Grant Applications to the Community Resilience Fund has been extended to 30th November 2017. An updated on line Application Form is also been launched to assist applicants in providing the necessary information in a consistent format. If you have already made an application by letter, you will be contacted and asked to complete the new Application Form by 30th November 2017. The Advisory Panel for the Alvington Turbine Community Resilience Fund met in early September to consider all applications received this funding round, against the advertised criteria. Eight applications were received and assessed by the panel, with allocations of funding agreed based on merit. St Andrew Church Alvington - £500 towards the repair and overhaul of the church clock by a specialist clockmaker and horological service engineer. The panel believes that maintenance of existing community assets is a good starting point towards achieving community resilience. It noted that the application relates to repair of a valued community asset on a building of heritage interest. Aylburton Village Hall and Playing Field - £4,750 towards the replacement of play equipment on the Aylburton Playing Field in order to meet necessary ROSPA approval requirements in 2018. The panel recognised that the Aylburton Playing Field is well used and noted the risk of potential loss of this valued community asset if the requirements of ROSPA are not met. It also noted that the Trustees of Aylburton Memorial Hall and Playing Field have already raised £5,200 towards the project costs, from the Aylburton Village Hall Annual Carnival, evidencing good local support. Woolaston School - £2,750 towards the purchase and installation of a new Audio Visual resource for the school hall consisting of retractable screen, projector, speakers and tower unit incorporating microphones, a PC and audio control system. The panel were encouraged that the resource would be used for a number of activities within the school, and also that it would be accessible as a community resource for other groups who utilise the school hall. It was felt to be an investment of good value in terms of the benefits to the community, particularly since the school (and after school groups) service families from both Alvington and Aylburton as well as Woolaston. The deadline for receipt of applications for the next funding round is 31st January 2018. Further details about the fund and an on-line application form can be accessed via the project webpage www.resilientenergy.co.uk/REACR. We are pleased to report that Resilient Energy Severndale has now received permission to appeal the High Court judgment which quashed the planning approval for the Severndale Community Turbine in 2016 (See our report on the judgment below). The permission Order accepts not only that the appeal has a real prospect of success, but also recognises the public importance of the appeal and the implications of the ruling for National Planning Policy which encourages community energy projects such as this. As a community based enterprise, with limited resources, we cannot fund the appeal alone and have today launched a Crowdfunder campaign to raise contributions towards the legal costs. We would be most grateful for any contributions towards the target, with funds returned if the Appeal is won. Many thanks to all who have helped us get to this point. Resilient Energy Severndale is extremely disappointed to report that the High Court judgement of 10th June regarding the challenge to the planning permission for the Severndale community turbine was not in the Council’s and our favour. None of the parties in the case disputed the fact that the project would have significant local community benefits and there was no question as to the integrity of the applicant. 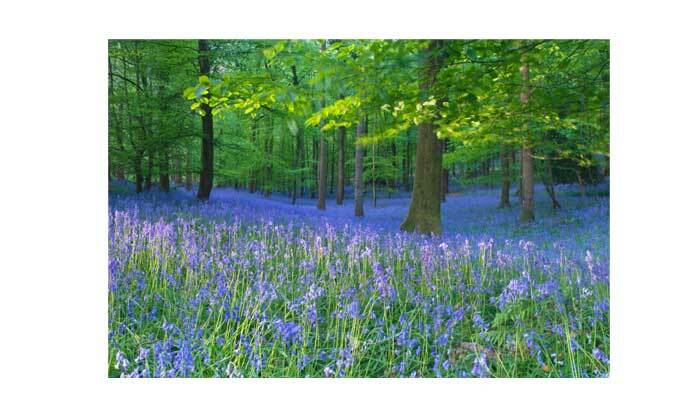 The planning permission, issued last September, was supported by a democratic vote of the Forest of Dean District council's planning committee with 10 votes in favour to 3 against with 1 abstention. The community owned energy model has been recognised as an exemplar both nationally and within Europe and the public social, environmental and economic benefits are already proven at Great Dunkilns St Briavels, with the installed Alvington community turbine and two Stroud turbines (currently under construction) set to follow, improving on the level of benefits for their local communities. However, focusing specifically on the community fund elements of the project approach in this case, the ruling concluded that these community benefits have no planning purpose and the weight afforded by the council in its balancing exercise (required as part of the decision making process) was therefore deemed unlawful. Unless permission is given to appeal and the decision is subsequently overturned, the project cannot now proceed and residents of Tidenham and the broader Forest of Dean will be deprived of a wide variety of socio-economic benefits which include a community resilience fund of around £500k to help address current and future community needs, as well as all project surplus (an estimated additional £1.5 million) which would have enabled further resilience initiatives including addressing fuel poverty in the locality. The fact that the Council sought to secure these benefits by a planning condition to ensure that the project would only proceed as a community benefit society was not covered in detail by the judge, given his decision on the materiality of the community fund. The words of a dismayed supporter of the community turbine project say it all: "I can't believe that the High Court in London has ruled that the elected representatives of the people are not allowed to act in the best interests of the people they are elected to represent." Resilient Energy Severndale is extremely grateful for the local, and indeed national, support we have received and continue to receive during stressful times which have included various lies and scaremongering, and on occasions vicious personal attacks. We have always maintained our professionalism and will continue to do so, bolstered by this support. It is clear that the Forest of Dean District Council understand the local benefits that community energy can deliver to our communities and we have been proud to stand alongside them, appointing legal representation to support them in defending their democratic approval. As a small social enterprise with limited resources this has only been possible through kind donations from local supporters and other community energy practitioners and we are sad that the outcome has not been the one we all hoped for, and which the community sector needs. We believe there is a strong case to appeal the decision and are currently considering our options. The installed St Briavels turbine, which follows the Resilient Energy model, already distributes funds to help build community resilience twice a year. The latest allocation of £11,200 will support the following in St Briavels and environs: a waste wood upcycling project, support for expansion of St Briavels Playgroup, a Rocket Digester for the Zero Waste St Briavels initiative, a community film projector to be held by the Womens Institute, a roving Village Handyman for St. Briavels and a Christmas meal for the elderly. Previous funding has supported school, environmental and social initiatives, provided community health equipment and paid for repairs to the village hall, school and churches. In times of austerity, community led initiatives which enable communities to help themselves are vitally important. The small minority of the public who seek to deny such actions through selfish self-interest must wear this on their consciences. The latest Public Attitude Survey conducted by the Department of Energy and Climate Change (April 2016) continues to clearly evidence support for the use of renewables at 81%. Opposition to renewables was very low at 4%, with only 2% strongly opposed. Our Resilient Energy Severndale 500kW Community Wind Turbine project was approved by Forest of Dean District Council on 11th August 2015 in a vote of 10-3 in favour of the project and cross party support from Conservative, Labour and UKIP Councillors. The social, environmental and economic benefits of the proposal and community based approach were recognised in the planning balance as well as the high level of local community support. Both we, Tidenham Residents for Renewable Energy and Dean Community Energy Group were, therefore, extremely disappointed that on 19th August, the Secretary of State for Communities and Local Government, Mr Greg Clark, intervened by issuing an Article 31 holding direction preventing the council from issuing its approval notice without his special permission. No reason has been given for this direction and several weeks on and the application is still ‘in limbo’ whilst Mr Clark decides whether to allow the decision or call-in the application for his own determination. The Government’s repeated statements that planning decisions for on-shore wind should be made at the local level and that local people should have the final say on wind turbines, seem hollow at present. The Secretary of State for Energy and Climate Change, Amber Rudd, has made it clear that local planning decisions on wind energy should not be overturned - the present situation makes no sense to us. Our own MP, Mark Harper who is also Government Chief Whip, wrote to Greg Clark some time ago stating that he does not support a call-in … and yet here we are still ‘in limbo’. Specialist planning and legal advisers say that the application does not fit the criteria for a call-in and the project should not be in the current position. We are aware that a small minority of Tidenham parish residents, are not in favour of the proposal and we respect the fact that not everyone likes wind turbines. But the majority of people have no problem with wind turbines, and especially where the local community benefits. This is shown repeatedly in public opinion surveys and evidenced in every project we have taken forward to date, including Severndale. We have followed all due processes and evidenced that the project complies with planning policy and the requirements of Mr Clark’s latest guidance. This is a local project brought forward by a recognised community approach for the benefit of the local community, and with clear support from the affected communities. 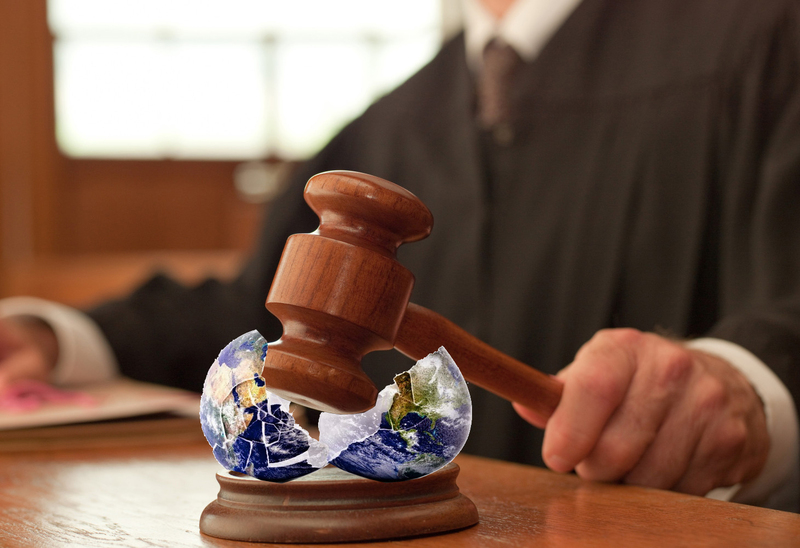 It would be a crazy world indeed if this local approval decision is not allowed to stand. A timely decision from the Secretary of State would also be appreciated. We welcome you to our part of The Forest Showcase on October 4th at Speech House. Come say hello and find out about the work of the Resilience Centre and others who share similar aims. Following a recent presentation to Tidenham Parish Council regarding the current planning application for the Severndale Community Turbine, we invite Parish Councillors and local residents to visit Great Dunkilns farm to experience the operational St Briavels Community Wind Turbine at close quarters. If approved, the Severndale proposal will replicate the award winning St Briavels community project. As for all Resilient Energy open day events, we will be on hand to provide further information and answer queries. We are looking forward to the Ethex Annual Gathering which brings together socially minded investors and the people behind projects that focus on social as well as economic benefits. It’s sure to be an inspiring day. Further details and tickets via https://www.ethex.org.uk/annualgathering. The six month period to end of March 2015 was characterised by seasonally high winds at St Briavels and the Community Wind Turbine made good use of the readily available resource. 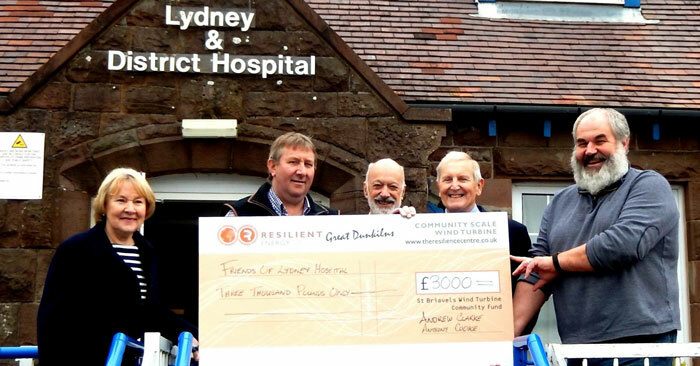 As the local community shares directly in the turnover achieved, this means the six monthly donation to help build community resilience within St Briavels and environs was higher than in the previous round. The total amount available for allocation at the May meeting of the St Briavels Wind Turbine Community Fund Advisory panel was £10,300. Applications to end April 2015 were considered by the Advisory Panel, and the following award allocations were made. In March, REACR opened a Pioneer Share Offer to raise £300,000 towards the turbine deposit, grid connection, and other early stage project costs. The Offer was oversubscribed – with shares selling out in less than a fortnight! Both ourselves and the Directors of REACR were thrilled at the level of support for the project. £2,500 (in match funding): to the Friends of St Briavels Church towards required maintenance of the Grade I listed landmark, and installation of pew heaters to make the building more readily usable throughout the year by the community at large. The group intend to run a raffle and a major fund raising event on 27th June 2015. A match funding approach was requested in the application to encourage the whole community to get behind the project. The panel were impressed by the suggested approach which shows great commitment and strong community spirit. £1,500: to the Charles Lord Denton Almshouses, a local charity which provides secure and affordable accommodation to older people who have a reasonable need. The funding will help with repair costs recently incurred and planned including drainage work, pathway ramp repairs, gable painting and chimney replacement. 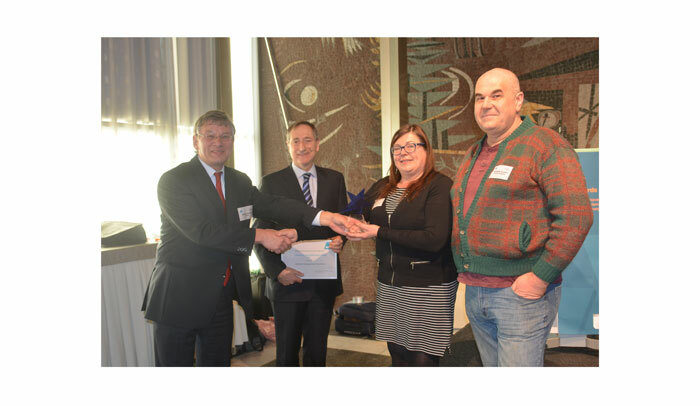 £500: to St Briavels Parish Council towards the creation of a village handyman service. The panel agreed with the council that the village could benefit from a general tidy and completion of some simple village maintenance tasks. The panel look forward to seeing the benefits for the village over the next six months and would be happy to consider further applications at future funding rounds. £552: to Heartbeat St Briavels to cover 12 months maintenance of the publicly accessible village defibrillators which are located at the Assembly Rooms, the Pavillion, Lindors, and the fourth soon to be installed outside the school gates. The panel were pleased to hear that 100 people have now been trained in the use of the potentially lifesaving equipment and would be happy to consider further applications on an annual basis. £250: to the St Briavels Playgroup towards purchase of replacement waterproof clothing to enable the youngest members of the community to participate in scheduled outdoor Forest activities to nurture an appreciation of the natural environment, even in inclement weather. £350: to the St Briavels Lunch Club which provides older citizens with a regular meal and chatter. The club has been run by the same team of dedicated volunteers for the last 8 years and the panel felt that their community commitment deserved recognition. The funds will enable the group (including volunteers) to be treated to a meal at a local pub. The panel increased the strategic reserve fund to £4,648 as it is keen to support a larger, more strategic proposal that ideally focuses on creating community resilience for the longer term. Any shortfall from the Friends of St Briavels Church allocation will also be added to the strategic reserve (although we wish them well with their fundraising and anticipate donating the full amount specified). TOTAL ALLOCATIONS LINKED TO OPERATION FROM JANUARY 2013 to MARCH 2015 = £25,283. The funding to date exceeds the financial predictions for the early years of operation and the project is on track to deliver the predicted average donation over its 25 year operation of £15,000-£20,000 per annum. To apply to the community fund go to https://www.theresiliencecentre.co.uk/apply.html. Or apply in writing c/o Anthony Cooke, Great Dunkilns Farm, St. Briavels, Lydney, GL15 6QY. The next deadline for receipt of applications is 30th October 2015 and six monthly thereafter. The Advisory Panel will meet to decide on allocations of available funding in November 2015. We are now moving forward with the development of our second consented community wind turbine project in the Forest of Dean, Resilient Energy Alvington Court Renewables Ltd (REACR). We aim to have the 500kW turbine installed by autumn 2015. REACR has now opened a Main Share Offer to raise up to a further £1,050,000, towards the overall target of £1,350,000 required. Annual returns on investments are predicted to average 8.1% (subject to performance) and the Society has received advance assurance from HMRC that the shares are eligible for Enterprise Investment Scheme (EIS) tax relief, giving a predicted IRR of 7.5% per annum or 11.5% with EIS relief. In addition to receiving a fair return, investors in REACR will also help create lasting community benefits – both social, environmental and economic. Once operational, the turbine will provide an annual donation to the host community of Alvington/Aylburton to help build community resilience. This is expected to average £15k - £20k per year for 25 years (replicating our award winning approach for the Resilient Energy Great Dunkilns turbine at nearby St Briavels). REACR differs from the St Briavels project slightly in that it is a Community Benefit Society rather than a plc. The shares are equity based rather than debentures. This approach improves our Resilient Energy model with the operational REACR project anticipated to generate a Society surplus in addition to the local community fund. This will be used to support further resilience initiatives throughout the broader Forest of Dean. The opportunity to invest in REACR shares starts at £250 and the Offer will be open until 2nd June 2015 (but will close early if the target is reached before the closing date). Full details and application are available on line through Ethex, the positive investment platform: www.ethex.org.uk/REACR. The report finds that the region has the renewable energy resources to meet more than 100% of its total energy needs. The report demonstrates how renewable energy could see the creation of 122,000 jobs and generate £11 billion a year for the South West Economy. Community projects within St Briavels and environs have received £17,283 from the St Briavels Wind Turbine Community Fund, based on operation of the Great Dunkilns Wind Turbine since commissioning in January 2013 to the end of September 2014. This is higher than predicted during the first few years of operation. Due to seasonally high winds this last winter and now into spring, Resilient Energy Great Dunkilns anticipates that further donations for the 6 month period to end March 2015 will be another £8,000 to £10,000. If you have a project idea which could help to build community resilience of St Briavels and environs by addressing current needs and future challenges, why not apply to the fund ahead of the next application deadline which is 30 April 2015. The project aims to achieve an annual average donation of £15,000 to £20,000 per year during its 25-year life span and is firmly on target to achieve this. The 420-plus community investors who helped crowd-fund the development of the turbine project are also already receiving returns on their investments in line with expectations at this stage. £800: Heartbeat St Briavels towards a defibrillator and battery for the village. £800: St Briavels School for two laptop computers for pupils' benefit. £500: St Briavels Music Society to help with event costs and keep ticket prices affordable. £400: St Briavels Playgroup for storage space. £1,500: St Briavels Memorial and Playing fields towards a zip slide for 8- to 14-year-olds. £2,500: St. Briavels Assembly Rooms towards a new roof. £850.81: St Briavels School Breakfast & Gardening Clubs – including equipment for preparing and growing food, a visit to a farm-based composting facility and infrastructure to enable children to keep chickens. £1027.50: St Briavels Senior Citizen’s Club for a group trip to the National Memorial Arboretum to mark the Centenary of the First World War. £2,000: Governing body of St Briavels Parochial Primary School to help with building works. £184.38: Forest Schools St Briavels to connect young children with local woodland, for outdoor equipment and traditional tools such as bill-hooks. £200: Parkinsons UK / South Forest Parkinson’s group, towards running costs. £1,621: St Briavels Parochial Church Council towards restoration of the historic church organ. £1,100: St Briavels Congregational Church towards pointing to address damp problems. £2,300: Strategic Reserve for future allocation. We are thrilled to have received further accolade for our Resilient Energy model as winners of the European ACE Award for Community Based Renewable Energy 2014. Thank you to all our supporters, community investors and project stakeholders. We look forward to realising further Community Energy projects with you over the coming year. The awards ceremony followed an inspiring day of networking with other finalists, ACE partners and official representatives, to exchange ideas, knowledge and share experiences. Two other award categories (Energy Smart Municipalities and Energy Neutral Village) were also won by UK nominees; Cherwell District Council for its Eco-Bicester project, and Hook Norton Low Carbon Ltd which is implementing a range of initiatives. All winners were congratulated by the UK Government's Department of Energy & Climate Change. The Academy of Champions for Energy (ACE) is an EU INTERREG IVB programme to seek out and promote best practice projects and initiatives in community energy and the transition to a low carbon future. The programme facilitates partnerships across North West Europe and promotes replication of best practice. All finalists become partners in the ACE network and there is good potential for collaboration which will be further exploring over the coming year. In addition to the wonderful public Forestry estate, there are a large number of small woodlands on farms, small holdings and common land locally. Few are actively managed at present - many deemed uneconomic on their own, despite the many social, environmental and economic benefits that sustainable woodland management can deliver. As a small woodland owner ourselves we have been exploring the potential opportunities and possible sources of funding support for the small woods sector for some time. We know that the best outcomes can often occur through collaboration, and are therefore launching a Resilient Woodlands Initiative to facilitate this. We are thrilled to have been invited to host a workshop based knowledge transfer event to bring together interested parties to explore: Resilient Woodland Management; Collaborative Opportunities for Environmental, Social and Economic Benefit. The day event will be held on Saturday 17th January, at Woolaston, and will be partially funded by the Rural Development Programme, enabling us to keep participant costs to a minimum (£30 +VAT). Further details and booking procedure are available on our new Events & courses page. Places are limited, so please book early to avoid disappointment. We are proud to announce that we have been shortlisted for the European ACE award 2014! It is an honour to be representing the UK in the European ACE awards final for Best Community Based Renewables initiative. We have been invited to Arnhem, Netherlands for the awards ceremony later this month. The event will include an opportunity to network with finalists from other European countries, sharing experiences and exchanging ideas. The group will also visit Loenen, which is aiming for carbon neutrality having received ACE investment in January. We will be promoting St Briavels, the Forest of Dean and Gloucestershire at every opportunity. Thanks to all who have supported and enabled our local community based projects to date. Blown away by our first 100% electric pool car. 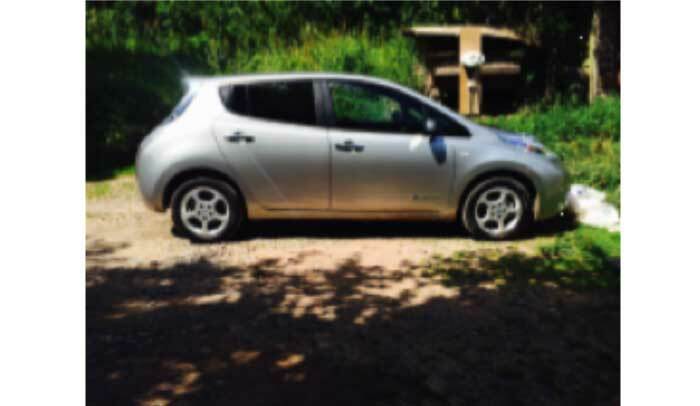 Its a Nissan leaf from the Five Acres garage in Berry Hill. We see such vehicles as playing a key role the future of personal transport, especially with technologies advancing at the exciting rate that they are. With a current range of 124 miles per vehicle charge, and with a charge point installed at The Resilience Centre, plus a growing charger network which now includes free rapid charge points on most motorway service stations, the majority of our journeys can be made with ease. The Leaf is extremely quiet, & large enough for 5 in comfort. It beats conventional cars hands down on running costs; with no need for visits to a fuel station, very low maintenance requirements, and of course zero emissions when charged with renewable energy. Blakeney based Squiff Creative Media is currently designing our company decals and wrap for the car. 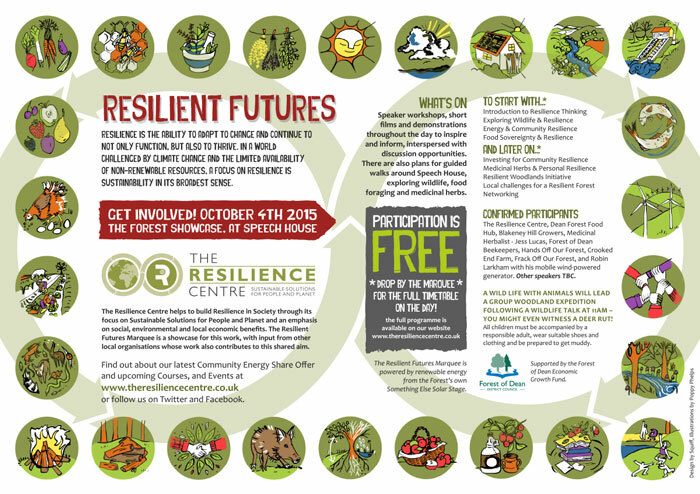 Look out for us on the Road to Resilience! 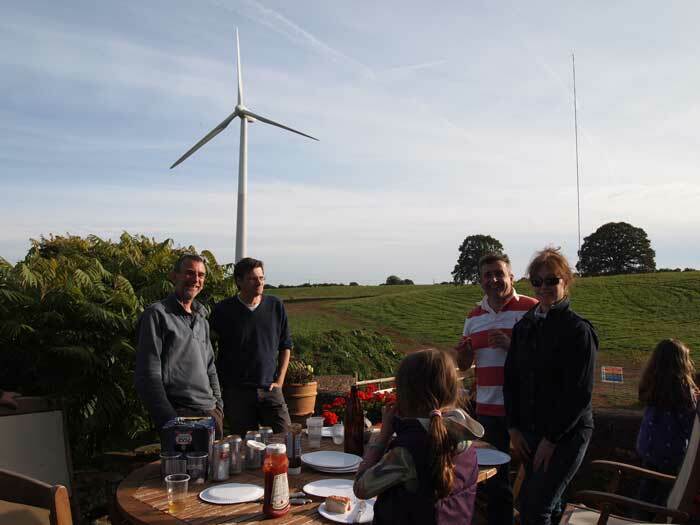 We are proud to take part in Community Energy Fortnight 2014 with an Open Day at the St Briavels Community Wind Turbine on Sun 28th Sept (12-4pm). This is one of a number of events taking place around the UK to showcase progress in the sector and highlight opportunities for communities through energy generation, and energy efficiency. The event is free, and open to all. Bring family and friends to see community energy in practice and meet the team behind the Resilient Energy initiative. There will be additional local interest stalls this year as well as light refreshments. Further information can be found here https://ukcec.org/resilient-energy-great-dunkilns-wind-turbine-open-day. 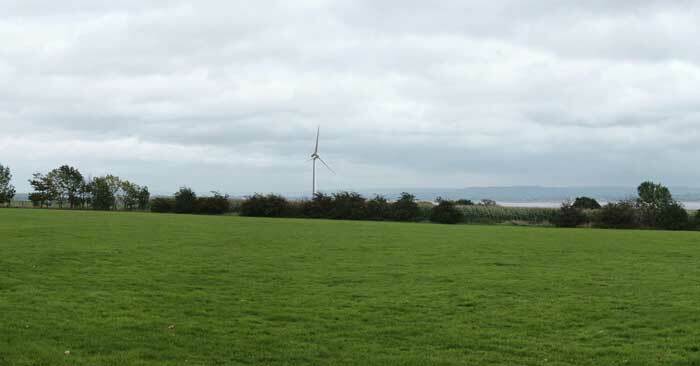 The turbine is located at Great Dunkilns Farm, Bream Road, St Briavels, Lydney GL15 6QY. Great Dunkilns Community Fund - £14,000 donated to date! The Great Dunkilns 500kW community wind turbine has delivered a total community donation pot of £14,000 based on just over a year of operation. The project is also already providing returns to its 400+ community investors who crowd funded the development in place of traditional bank finance. The St Briavels Wind Turbine Community Fund Advisory Panel met recently to consider applications to the fund. A total of £6,000 was available this round* and after much consideration and discussion the group decided to donate the majority of the £6,000 to 4 very worthwhile local projects. £850.81 to the St Briavels School Breakfast & Gardening Clubs – including equipment for preparing and growing food, a visit to a farm based composting facility and infrastructure to enable the children to keep chickens. £1,027.50 to the St Briavels Senior Citizen’s Club to cover the costs of a group trip to the National Memorial Arboretum, to mark the 100 year anniversary of WWI. The panel felt it important to remember the past as we look to the future. £2,000 to the Governing body of St Briavels Parochial Primary School – to cover a shortfall in its required commitments for completed building works improving the long term resilience of the building. £184.38 for Forest Schools St Briavels which develops an active connection between young children and the local woodland environment. The fund will enable purchase of outdoor equipment and traditional tools such as billhooks. Other applications received, required either submission of further detail or greater progress towards a larger funding target before a project could proceed. The panel, therefore, proposed and unanimously agreed to strategically reserve some of the current available funds which will be carried forward for the next round. A new Community Fund bank account has therefore been established. All applicants have received feedback. If you are looking for funding to help build community resilience in St Briavels and environs, Resilient Energy Great Dunkilins would love to hear from you. The next deadline for applications is at the end of October 2014 so get your thinking hats on! We have been nominated for a Business Green Leaders Award! The Resilience Centre are on a roll and have been shortlisted for yet another national award. It is our pleasure to announce that we have been shortlisted for The Renewable Energy Project of the Year in the 2014 Green Business Leaders Awards which celebrate innovators and pioneers of green business and technology. The beneficial and unique community energy model developed by The Resilience Centre and put into practice at St Briavels in the form of a 500kW community wind turbine has caught the attention of the judges. We are honoured to be consider for this award especially as winners from previous years include economic powerhouses such as M&S & Renault. Other shortlisted companies include Jaguar Landrover and Kingspan, Abundance Generation, Lark Energy, and the National Trust. We are delighted to be considered alongside these very established companies. We're celebrating our 5th Birthday with a brand new website! The Resilience Centre is celebrating its 5th Birthday with the launch of its new website. We are hoping the new content and layout together with the social media links will help us to get our message to more communities and businesses who are looking to become more resilient. We are really pleased with our new website, we hope you like it too! We've been nominated for a Guardian Sustainable Business Award! We are delighted to announce we have been shortlisted for a Guardian Sustainable Business award under the category of Social Impact. The judging panel for the award is made up of some of the most influential thinkers from the world of sustainable business including Pooran Desai, John Elkington and Peter Madden. Other organisations shortlisted for the Social Impact award include Accenture, the University of Manchester and the Shared Interest Society. We are very proud to be shortlisted alongside such established organisations. The category winners, along with the publicly voted Sustainable Business Leader of the Year, will be announced at a ceremony at the Royal Institute of British Architects (RIBA) on 14 May. The Resilience Centre has completed an annual review and optimisation of the Resilient Energy Great Dunkilns Wind Turbine. We have completed an upgrade of the turbine operating system along with recalibration of the blade pitch control, vibration sensors and generator in line with new developments being made by the manufacturers of the Powerwind turbine. In addition the grid fault response has been reviewed to make the turbine less susceptible to tripping due to voltage fluctuations and micro power cuts which can occur frequently on the aging grid especially in rural areas. The wind turbine now automatically restarts following such grid fault events. The Resilience Centre was established by Andrew and Sue Clarke, experienced Environmental, Energy and Strategy Consultants and hands on practitioners in the Private, Public and Community sectors. The organisation operates as a social purpose business providing professional support to help build resilience within society. We have multidisciplinary expertise in house and work with a network of experienced associates in environmental and social sciences, environmental economics, agricultural sciences, regeneration, and sustainable investment. We have a reputation for innovation and a strong track record of successful practical projects.